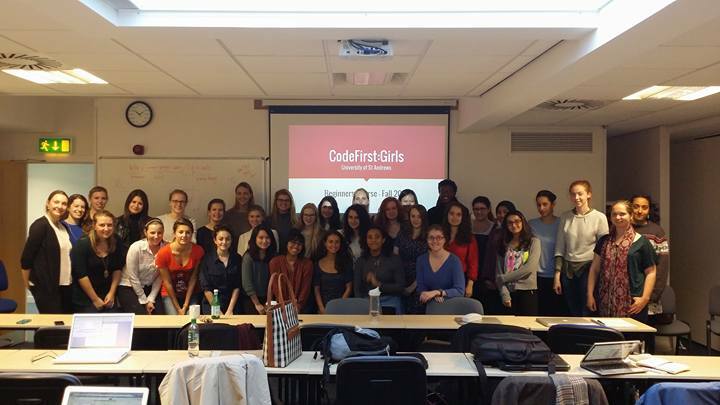 Congratulations to our St Andrews Computer Science Code First Girls, for completing the Fall 2016 course, and staging their final projects. 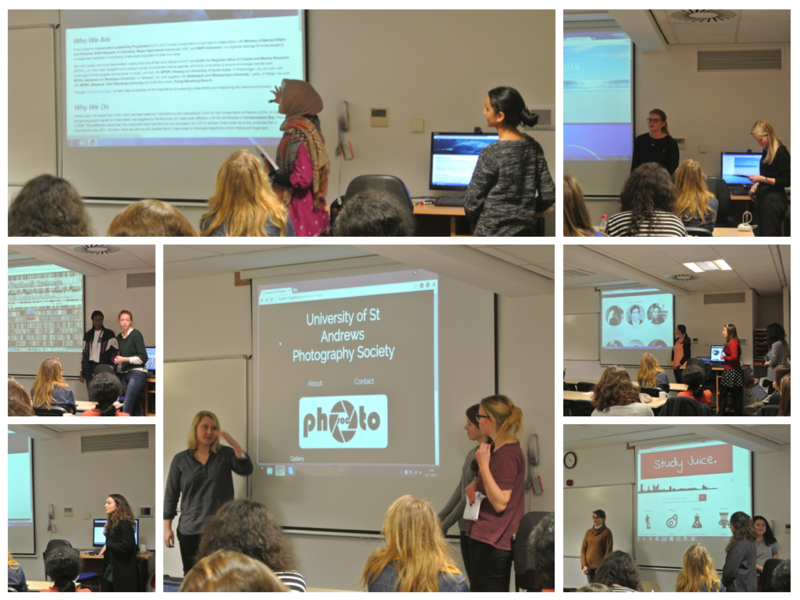 Students are pictured presenting some of their diverse and ambitious projects to staff, CFG tutors and fellow students. 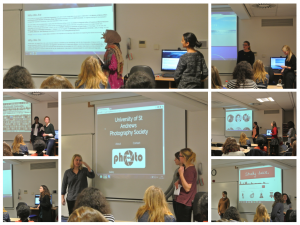 Presentations were followed by some home baking. 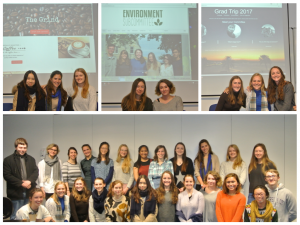 Judges awarded overall winner to Marya Simeonova and Chirsty McFadyen for Student Association’s Environment Subcommittee. Runners-up were Hannah Done, Anna Guckian and Eilidh Robb for GradTrip and Alix Réveilhac, Bridget Holmes and Sherry Zhang for The Grind. 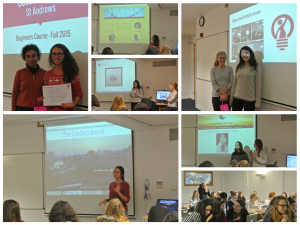 Building a community of tech-savvy young women. 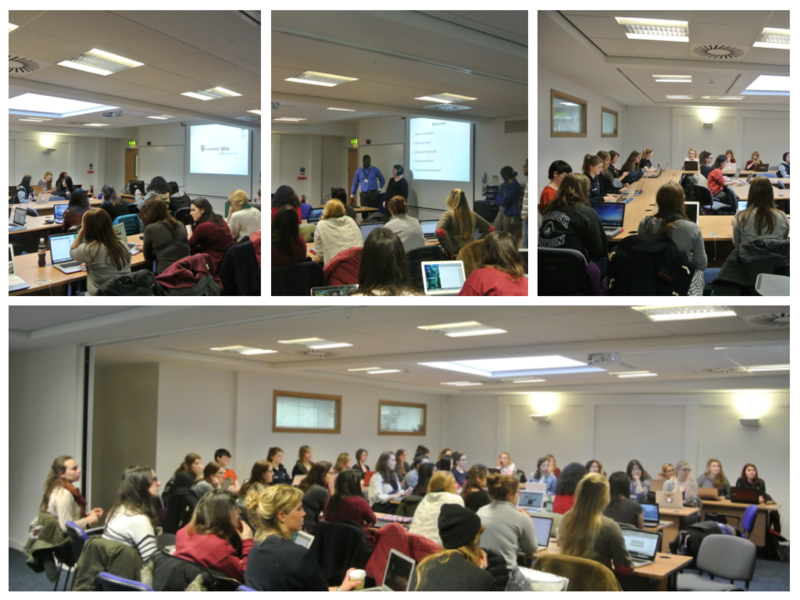 They currently run around 27 courses in a number of UK university locations from Southampton to St Andrews. They also run frequent career evenings at various tech companies (such as Twitter and Just Eat), as well as an annual conference and hackathons. Working with tech companies themselves. This is mainly looking at recruitment strategies, linking up recruiters with their community and running in-house staff coding courses. 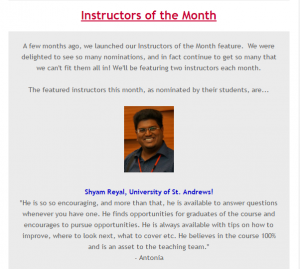 The School has consistently run as one of CF:G’s most active and successful courses; running the beginners course (which covers basic front-end web development in HTML and CSS) for the fourth time now alongside the second run of a more advanced course – building on the beginner’s curriculum with the introduction of Python to build more powerful back-end elements. 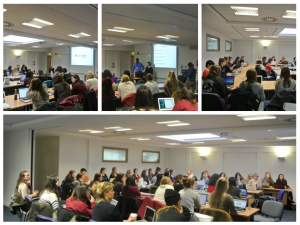 Within the tech industry, women are often at a disadvantage due to a lack of technical knowledge; Code First: Girls exists precisely to address this educational disparity, and this is why the School is keen to see students from all disciplines and years of study participate in these informative, friendly and interactive sessions. Text and images courtesy of Mary Dodd, Mary Chan, Shyam Reyal, Adeola Fabola and Vinodh Sampath. 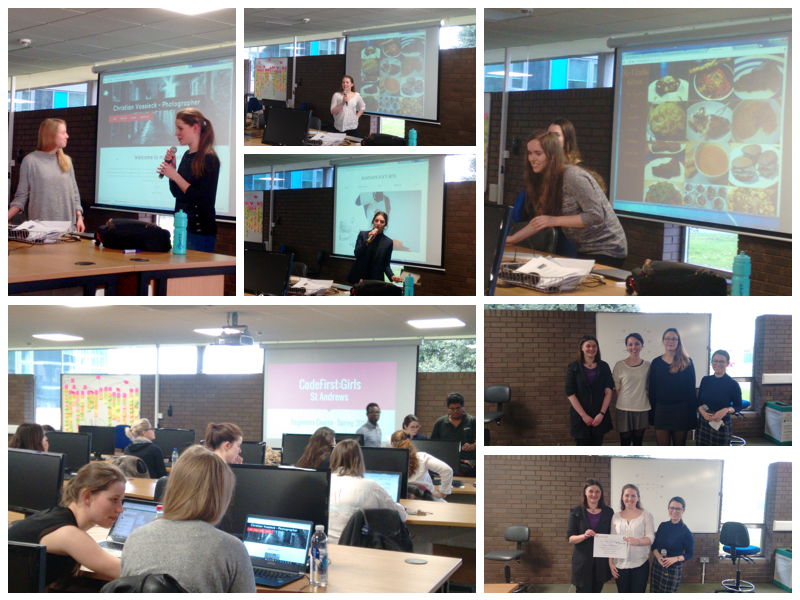 Congratulations to our St Andrews Computer Science Code First Girls, for completing the 2016 course and staging their final projects. 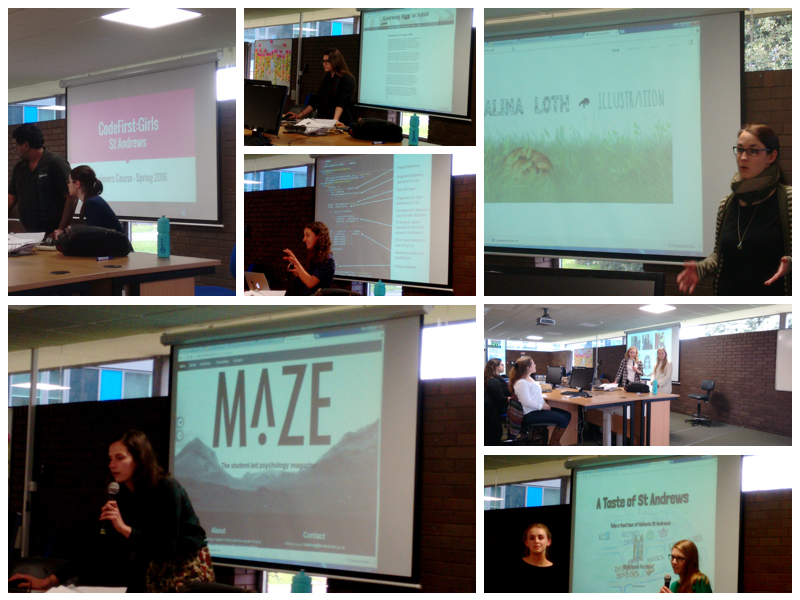 Earlier this week they presented their distinct and impressive projects to staff and students here in the School. Prizes were awarded for overall winner to Naomi McReynolds, for No Clucks Given and runner up to Fidan Gasimova, Katya Clark and Malina McLenna, for The North Point Cafe. The judges were thoroughly impressed by the enthusiastic presentations and the quality of answers to both technical and non-technical questions. Last year’s winner Kahina Le Louvier also gave a demonstration of her project from the advanced course. Presentations were followed by a cheese and wine reception. 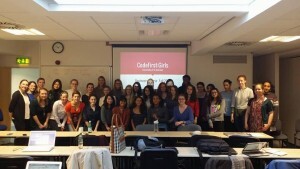 Read more about CodeFirst:Girls in our previous post Computer Science supports CodeFirst:Girls. 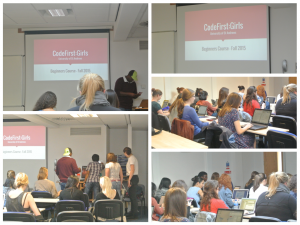 Congratulations to our St Andrews Computer Science Code First Girls, for completing the Fall 2015 course and staging their final projects. 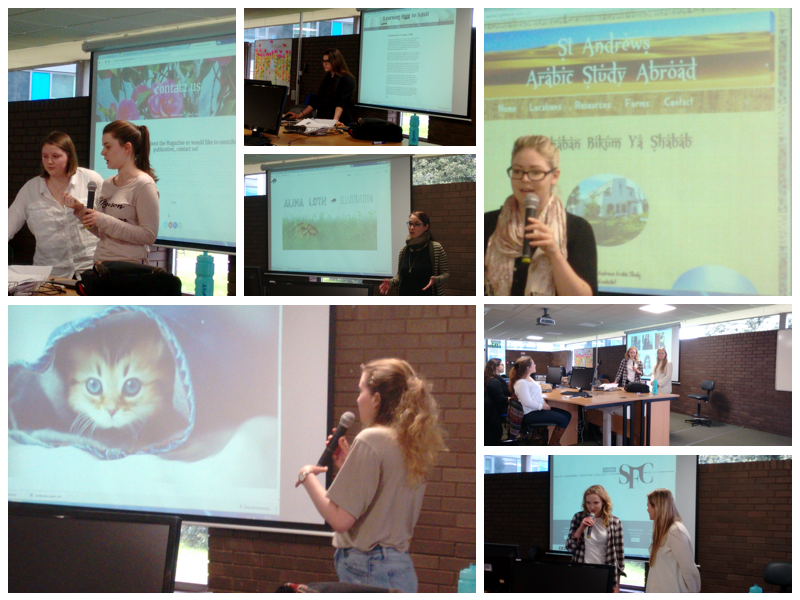 Students are pictured presenting their diverse and ambitious projects to staff and students in the School. Presentations were followed by a cheese and wine reception. Prizes were awarded for overall winner to Kahina Le Louvier for MuZik4Kids and runner up to Lucy Sharp and Lucy Wallis for Amelia Florence. Well done to all. 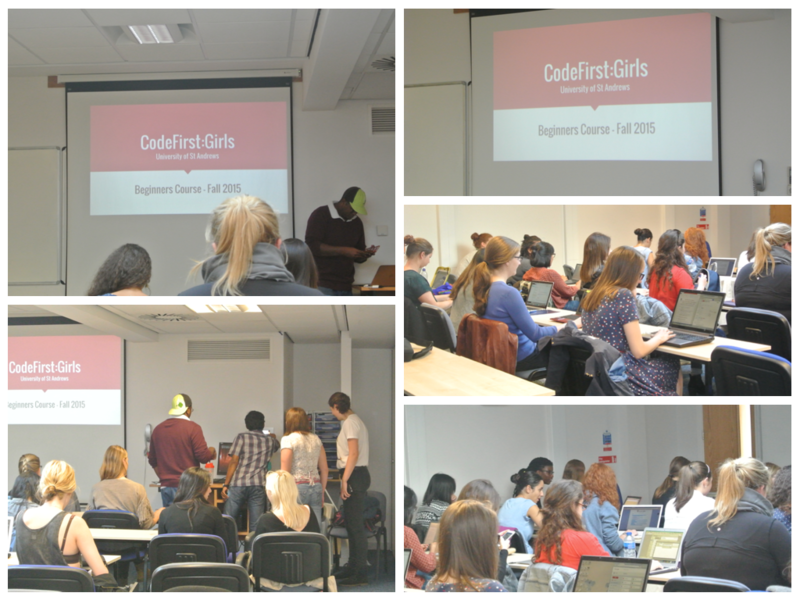 Read more about CodeFirst:Girls in our previous post Computer Science supports CodeFirst:Girls 2015.